100% Money Back Guarantee If Not Satisfied! Should I Take Coq10 With Red Yeast Rice for Cholesterol? Red yeast rice is one of the natural ingredients that are well known and have been used thousands of years ago for traditional medicine in China and other Asian countries. This substance is made by fermenting red rice with a kind of fungus known as monascus purpureus. The fermentation produces variety chemicals that are very useful for the health include for lowering cholesterol. One of the active ingredients is produced is monocolins. This substance can stimulate the formation of enzyme to inhibit the formation of bad cholesterol. Health experts also strongly recommended the use of red yeast rice with coq10. The combination with coq 10 can produce a synergy effect in lowering bad cholesterol. Coq 10 is one of the natural compound that produced by the body. This substance plays a major role in the formation of energy. Someone who is deficiency of coq 10 can experience a number of symptoms such as fatigue, muscle pain and less passionate. High cholesterol is closely related to heart health that could potentially cause other disease such as high blood pressure and stroke. 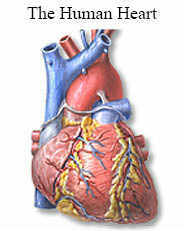 People who have heart disease usually have a weak heart muscle. By taking coq10, the performance of the heart muscle to pump blood can be improved. Coq 10 can help the heart muscle cells to produce more energy. By strengthening the heart muscle, can increase blood flow. 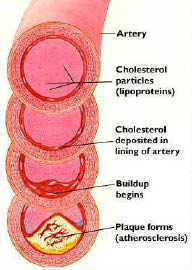 Blood flow can also facilitate the expenses of cholesterol that sticks to the blood vessels. Other Ingredients: Vegetable Cellulose Capsule, Rice Flour, Silica and Magnesium Stearate. My cholesterol was at a high of 238. I tried eating nothing but grilled chicken, brown rice, and veges AND working out 2-3-4 times a week. It dropped down to 205. I heard about Red Yeast Rice through a Consumer Report. I've been taking it for about a year, not eating completely healthy foods, but my cholesterol dropped to a low of 174. I ran out for a couple months and my cholesterol went back up to 220+. I tried another brand and the level barely went down. I'm back on the Nature's Plus Extended Release and my cholesterol levels are on their way back DOWN. I'm a firm believer in this herb as produced by THIS company. Try it. Hopefully it works for you like it works for me. Remember, though, we're all genetically different. This is a fantastic dietary supplement. It is the best that I have tried so far. It not only keeps your appetite down but it also gives you tons of energy. I could hardly believe the price of it!!! 60 tablets for that price was really good. I have wasted tons of money on dietary supplements and finally I found one that is worth it. Red Yeast Rice is also good for you...it has a good amount of fiber, which is needed in your daily diet. It also works for vegetarians...I have only had a good experience so far. I highly recommend the use of this product.